If you’re someone who grew up in the 2000’s like I did then you will be very familiar with the video game Kingdom Hearts, which originated from the PS2 era released back in 2002. So far there has been eight games in total with many sequels planned. The series doesn’t appear to be coming to an end any time soon. Although it began on the PS2 it has been successful both critically and commercially across several platforms including Xbox and Nintendo consoles. As a crossover action adventure series which combines characters from Disney and Square Enix it focuses on the adventures of the main character Sora as he tries to defeat the main villain Xehanort throughout the series. 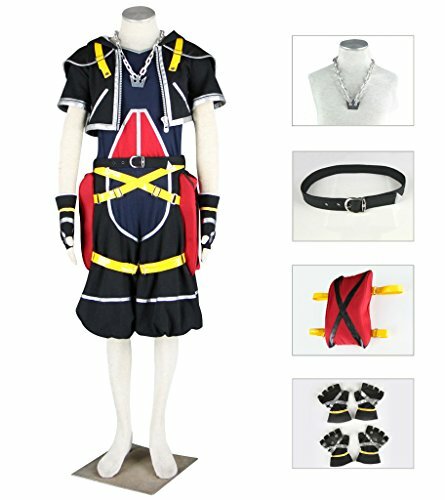 In this post we’ll be showing you everything you need to create a Sora Kingdom Hearts costume including: wig, cosplay outfit, necklace, boots and key to the city prop. So without further ado let’s begin! If you have short brown hair you could skip this section, all that is required is a little styling with gel to make you hair spiky. If not you’ll need to wear a short brown wig to cover your natural hair. Check out the one above we’ve chosen which will be a perfect match for this character. 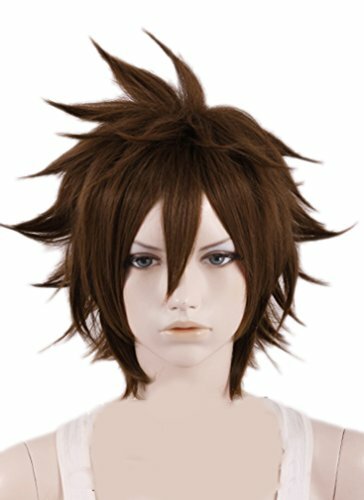 Alternatively check out local costume stores to find a wig for this cosplay. 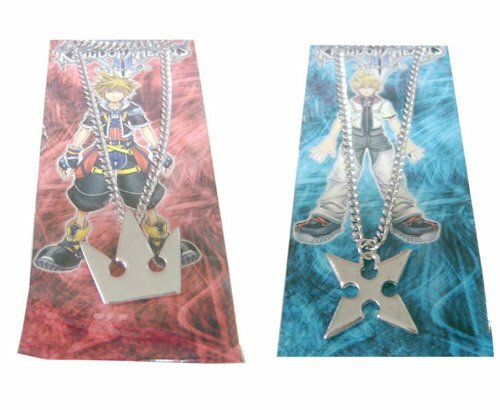 Moving on you’ll need a Crown necklace for Sora which can you wear over his outfit. If you prefer to go the do it yourself route create one of these yourself from card and color with silver metallic pens. Next onto the main item which is Sora’s cosplay outfit which is made up of several components including: jacket, shirt, seven-points knickerbockers, necklace, belt, two purses and gloves. Reviewers mentions how well designed this cosplay is but warn to check sizes before purchasing (which you should be doing anyway). 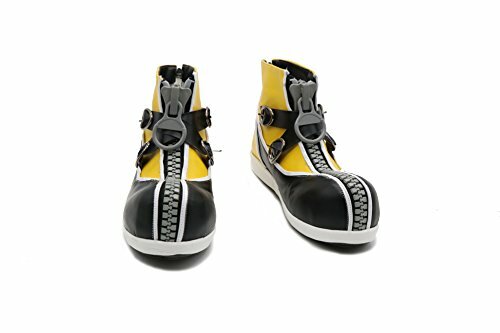 Don’t forget to add a pair of yellow and black boots such as the ones above that Sora wears throughout the game. 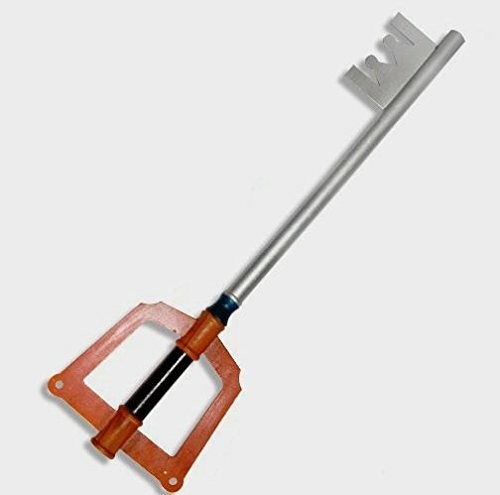 The final accessory you’ll need is a Kingdom of Hearts giant fantasy key to the city replica. This one is made of metal and foam with a silver chain hanging from the top which can be removed if prefered. This would make the perfect group cosplay idea with the others dressing as different Kingdom Hearts characters. So grab a few friends or family members and make the night even more fun. Before you leave don’t forget to check out our other tutorials and if you like follow us on social media for updates on the newest tutorials we post.